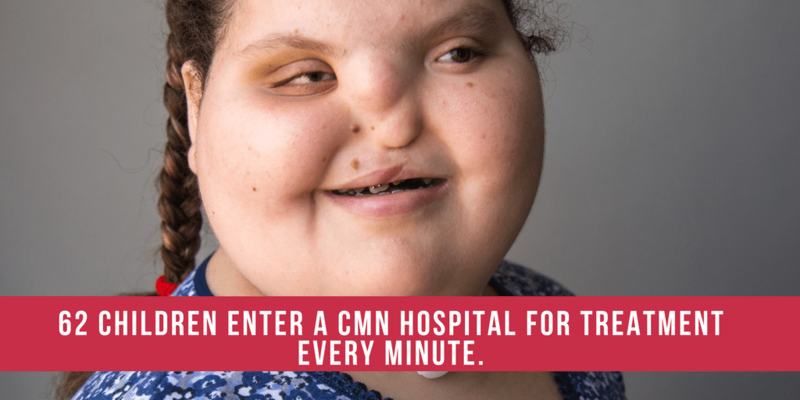 Why Do Children's Miracle Network Hospitals Need Your Support? Children’s Miracle Network Hospitals provide 32 million patient visits for 10 million kids every year. When you donate at Walmart and Sam’s Club now through Oct. 29, you #HelpKidsLiveBetter. Kids like Bryttani treated at Children’s Hospital of Philadelphia. Bryttani has been singing since she could speak. However, unlike most music-loving teenagers, Bryttani was born with a facial deformity. A Tessier cleft is a rare, severe midline facial cleft. Bryttani’s began at her lip and palate, extended through the area where the nasal structure should have been and ended in the area of her left eye, which was missing. Since birth, Bryttani has undergone numerous surgeries, including cleft lip and soft palate correction, bone grafts, jaw alignment, surgery to build up her socket to for a prosthetic eye and another to connect her tear ducts. Bryttani has also received extensive orthodontic work on her upper jaw and hard palate. Once she’s finished growing and all of her orthodontic work is complete, Bryttani will undergo nasal reconstruction. Despite everything, Bryttani keeps on singing. She’s a confident young woman who loves to write and perform her own songs. Donations to CMN Hospitals support uncompensated care programs including pet therapy, which introduced Bryttani to Lentil, a French bulldog who also underwent surgery to repair his cleft palate. For 30 years, Walmart and Sam’s Club associates have gathered donations for Children’s Miracle Network Hospitals, raising nearly $1 billion to #HelpKidsLiveBetter. Donations stay local to fund critical treatments and healthcare services, pediatric medical equipment and charitable care. Help us make a difference in the lives of children in your community and kids like Bryttani by donating at your local Walmart or Sam’s Club today.